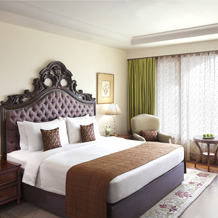 Guests can look forward to Taj Deccan's quality facilities and distinctive services. 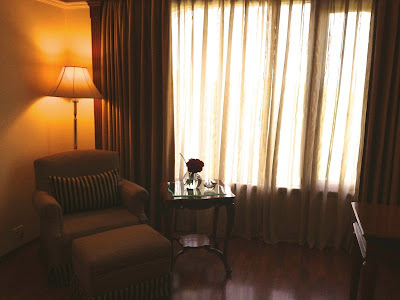 So , Book your pleasant stay at Taj Deccan now !!! Located in the heart of Banjara Hills overlooking its own private lake, Taj Banjara offers easy access to the key business and shopping areas of the city. The Airport is 33 kms while the shopping areas are 5 minutes from the hotel. The hotel offers a choice of 122 elegant comfortable rooms including Suites, comprehensive business facilities, a coffee shop, 2 specialty restaurants and a bar which makes it an ideal choice for the discerning travelers. Children Policy: Children up to 12 years stay free in parents room when using existing beds in room. Children aged 13 years and older are fully charged. 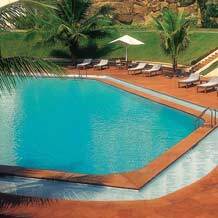 Deposit Policy: A non-refundable deposit of 10,292.80 INR is charged at the time of booking. Situated in Banjara Hills, overlooking its own private lake, this hotel offers tranquil relaxation, spacious comfort and excellent amenities. The hotel is just a 10-minute drive from the bustling business and shopping districts.Following Service are offered at Taj Banjara, Hyderabad City. 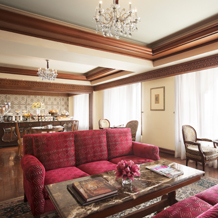 Taj Banjara offers a choice of 122 elegant, well-furnished and comfortable rooms including 14 suites. 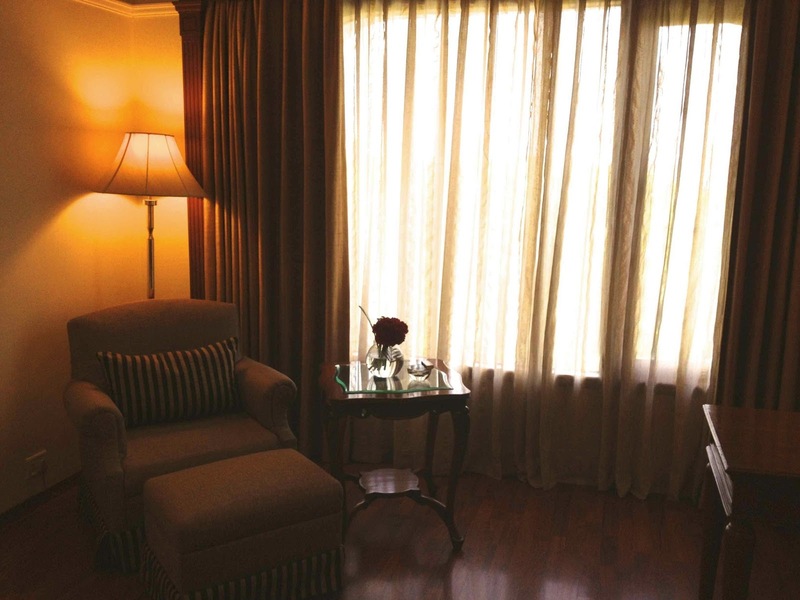 Choose one of the following suites or rooms on your next business visit to Hyderabad City. After a long day, guests can retire to the splendid ambience of a sprawling deluxe cottage or unwind in the comfort of an elegantly appointed superior Rooms. Tastefully appointed and well equipped with guest amenities including wireless Internet connectivity, 2-line speaker phone with international direct dial, minibar, electronic locks, safe deposit lockers, 24 hr. Room service, channel music, and colour television with satellite programme. Most of the rooms offer fabulous views of the lake. Well equipped to cater to the needs of business and leisure travellers alike. In addition to the above guest amenities, they are equipped with hard flooring, El-Safes and have a tea/coffee maker. Most of the rooms offer fabulous views of the lake. Equipped with guest amenities including wireless Internet connectivity, 2-line speaker phone with international direct dial, minibar, electronic locks, safe deposit lockers, 24 hr. room service, channel music, and colour television with satellite programme. Most of the rooms offer fabulous views of the lake. Tastefully furnished suites composed of a bedroom and a living room, offering a panoramic view of the lake. Tastefully furnished suite composed of a bedroom and a living room, offering a panoramic view of the lake. 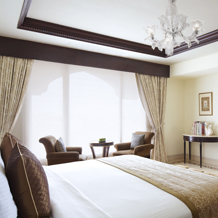 These are lake facing, luxuriously furnished suites with a separate dining section and a sitting room. One of the suites has a Jacuzzi. Situated in Banjara Hills, overlooking its own private lake, this hotel offers tranquil relaxation, spacious comfort and excellent amenities. The hotel is just a 10-minute drive from the bustling business and shopping districts.30 kms away from the airport, 12 kms away from Secunderabad Railway Station and 6 kms away from Nampally, the hotel offers the advantages of an ideal location. Taj Banjara offers a choice of 122 elegant, well furnished and comfortable rooms, including suites, comprehensive business facilities, 2 specialty restaurants and a bar, which makes the hotel an ideal choice for the discerning travelers. The capital of Andhra Pradesh, Hyderabad is an integral part of the famous twin-city pair of Hyderabad and Secunderabad, which are situated on opposite banks of the Hussain Sagar Lake. Hyderabad has a romantic story behind its birth. Mohammed Quli Qutub Shah, the fifth king of Golconda, founded this city of Bhagyanagar in 1591 for the sake of his lover Bhagmathi. Later he renamed the city as Hyderabad. The city retains much of the charm associated with its glorious past, while catapulting itself into the 21st century as India's most sought after software centre. 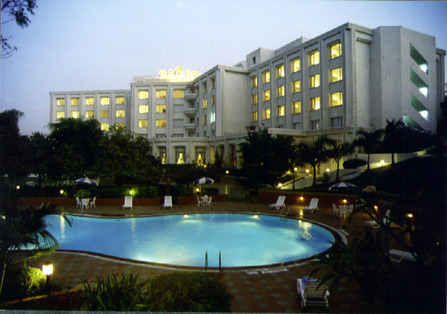 In Hyderabad, one can experience a unique blend of the old dominion and rustic charm within the trappings of new age modernity. 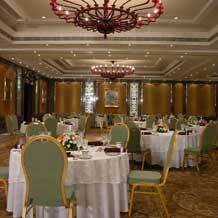 Personal pleasure and business aside, Taj Krishna is fully equipped to entertain on a large scale too. The Grand Ball Room with its large banqueting space and lawns provides a fairy-tale backdrop for a wedding and is also suitable for special events. With a uniquely designed pre-function area, this generous space can be partitioned into 3 identical venues and can accommodate 750 guests in theatre style at any given point. This venue boasts 9,700 elegant square feet and is perfect for exhibitions, conferences and other formal occasions. It has a large pre-function area and can be divided into two separate venues. Subtle lighting and graceful decor lend just the ambience for an intimate reception, dinner or a business meeting. If required, this contemporary private function room can even be divided into 2 venues, each accommodating 30 guests. This makes for a perfect venue to host gatherings of 100 to 150 people. It overlooks the poolside and is a delightful space. A charming venue with golden hues which can accommodate 100 guests in theatre style seating, the Golden Room is ideal for smaller meetings. A vibrant venue, Sapphire comes outfitted with an inbuilt bar and a restroom. This hall is considered the ideal setting for sit-down functions, high teas and personalised events. It is particularly suited to high-end corporate conferences. The splendid lawns at the Taj Krishna have been the venue for many a function in the past. The lawns can comfortably accommodate 800 people in theatre style. A poolside can be an ideal destination for a cocktail party for about 100 people at a time. 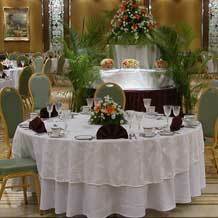 Taj Krishna provides an elegant setting for hosting high-level meetings and upscale private events. The combination of spectacular locales and the trademark Taj efficiency adds a whole new dimension to conducting business. Offering one of the city"s largest conference halls, Emerald Hall is capable of hosting up to 700 delegates theatre-style. Our outdoor venues can accommodate up to 2000 attendees for a reception. Our technological facilities include video conferencing, broadband wireless Internet access and multimedia computers. 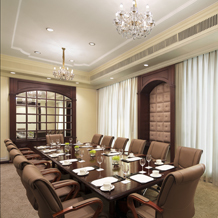 The hotel can also accommodate smaller events in its meeting and boardrooms. Whether you are planning a high-profile professional event or hosting a small group of important colleagues, depend on us to provide just the right tenor to the proceedings. Whatever the occasion - graduations, anniversaries, promotions and birthday dinners - they all take on an extra layer of glamour in our hotel setting. Taj Krishna offers just the right spaces and planning assistance to make each and every event special and personalized to an extraordinary degree. handle all your wedding functions with flawless aplomb. 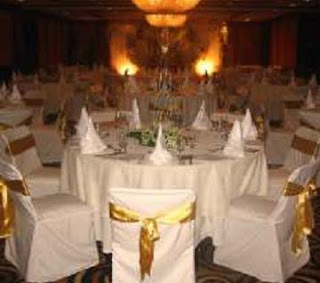 Consult with our wedding planner to create an event that will delight the couple, parents and all friends and family who attend. Whether a couple chooses a traditional ceremony or themed extravaganza, the Taj team will move heaven and earth to ensure that your wedding is nothing short of perfection. At Taj Krishna there is no end to the ways in which one can celebrate. Whether the event is personal or professional, once in a lifetime or once a quarter, we have an array of themes and catering options to make every occasion unique and memorable. We weave dreams with flowers and foliage. We highlight the ancient art of ornamenting the traditional Indian flowers with the modern usage of cut flowers. To enhance the beauty of flowers we mount these on specially created gates, pillars, trees, and canopies etc. Flowers are intrinsic part of our themes. 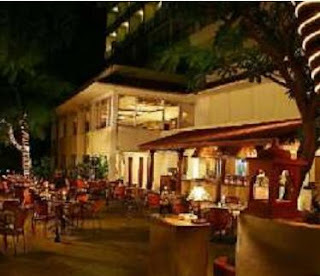 Taj Krishna offers a variety of elaborate themes from which to create a fantasy evening. Choose from to following list or work with our catering team to create one or your own. All themes are complete with authentic staging, costumes, props, performers, food and entertainment. Live music and custom lighting is arranged as befitting the theme. The shopping arcade in the lobby level houses 13,000 sft of high end luxury boutiques such as Burberry, The Helvetica,Ermenegildo Zegna,Canali, Taj Khazana,Paul & Shark,Cartier and Omega. Burberry is synonymous with quality, innovation, style and disheveled elegance, where beautiful craftsmanship is contrasted with form and function, always with a relaxed and distinct British attitude. The Burberry brand is anchored in the integrity of its outerwear, a tradition that began when Thomas Burberry invented gabardine in 1880. Men's and women's outerwear, ready-to-wear and accessories collections, worn by celebrities including Kate Moss, Demi Moore, Gwyneth Paltrow, Kate Hudson, Brad Pitt and Orlando Bloom, are influenced by over 150 years of providing functional and modern all weather garments. The Burberry store at The Taj Krishna showcases men and women ready-to-wear as well as a full range of accessories. The Helvetica is the first name in Luxury Watches in South India, with a Chain of Multi-Brand Boutiques and a host of Flagship Stores and Boutiques of the Most revered Brands.Helvetica houses about 30 of the Most renowned Brands like Rolex, Cartier, Alange & Sohne, Panerai,JLC,IWC,Breguet,Omega etc..of the Watch Making and Haute Horlogerie World. At Helvetica the elegant, tastefully done up interiors showcasing the most renowned and legendry brands, provides the discerning buyer the right ambience, reflecting the brand values that Swiss watches represent... precision, exclusivity, style and class. The Ermenegildo Zegna Group is a leading luxury menswear brand and one of the most renowned businesses in Italy. Founded in 1910 in Trivero, in the Biella Alps, by the young entrepreneur Ermenegildo, whose vision was to ethically create the world's finest textiles through innovation, sourcing the noblest fibers directly from their markets of origin, managed today by the fourth generation of the Zegna family. Since the late 1980's, the company has implemented a comprehensive strategy of verticalization, creating a global luxury brand which now ranges from fabric to clothing to accessories - and focused on retailing, pioneering early entry in emerging luxury markets, BRIC and Asia in particular, and was the first luxury brand to open a monobrand store in China in 1991. Ermenegildo Zegna celebrated 100 years of excellence in 2010. Today there are over 560 Zegna stores (330 company-owned) in 80 countries around the world; together they generated an overall turnover of 963m in 2010. Canali, the leading name in men's luxury fashion is synonymous with fine tailoring, elegance and style in Italy and around the world. Superlative tailoring, the finest raw materials, a highly-skilled workforce and perfect alignment with the spirit of Italian Made products : these are the values which three generations of the Canali family have maintained as a tradition for the last 76 years. Established in 1934, in Triuggio, an area in Lombardy where creativity and innovation have always gone hand-in-hand, Canali is now run by the third generation of the founding family and continues to marry its overarching values with a constant quest for renewal. Canali, in its third generation today constitutes a design and manufacturing group, with seven centers of production located in Italy all connected with its headquarters at Sovico, near Milan. Canali has made Quality, the Bespoke Tradition and Made in Italy its essential characteristics of its product philosophy and strategic choices in 76 years in the business. 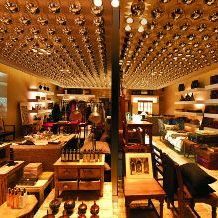 Taj Khazana is a chain of luxury lifestyle stores that are located across India, in many cities including, Mumbai, Delhi, Kolkata, Bangalore, Hyderabad, and Goa, in various Taj hotels. An Indian boutique with a global appeal, Taj Khazana is an ovation to the boundless creative talent of the Indian artisans and craftsmen. Taj Khazana showcases and stocks artifacts and collectibles created by master craftsmen of India and also has a selection of garments, stoles, shawls and accessories from handpicked Indian designers. From miniature paintings to silver artifacts, from weaves and pashminas to contemporary paintings and designer garments, from objet d'art to leather accessories and much more, if it's rare and uniquely Indian, you will find it at Taj Khazana. Paul&Shark is an Italian luxury sportswear brand distinguished by the unmistakable 'shark logo'. This distinctive insignia has over the years become synonymous with freedom, casual elegance and comfort around the world. The Paul&Shark consumer is sporty, well off, travels for business or for pleasure and plays at least a couple of sports but above all he loves the weekend and relaxing outdoors. The Paul&Shark store offers the Indian consumers a complete menswear collection that can be worn in diverse social occasions like workplace, holiday, leisure time and traveling. The collection includes a bright and colorful selection of casual yet elegant polos and shirts, trousers, shorts and lightweight and technical outerwear which can be stylishly teamed with fine accessories and footwear. Another mythical design by Cartier for a soft and poetic approach to time is how best this brand can be described. It could very well be today s anti stress watch for women. This Cartier Baignoire watch is a beautiful and exquisite white gold watch that became an instant classic within the Cartier family of watches. With smooth lines, classic roman numerals, exclusive diamonds and elegant style this Cartier Baignoire watch shines with feminity through and through. Just as today's woman is proud to be known equally for her beauty and her intelligence, the ladymatic's alluring and feminine exterior hides one of the most revolutionary, accurate and durable automatic movements in the world. In designing the ladymatic OMEGA set an audacious challenge for itself the aim was to create a watch which would integrate the brands most innovate technology with a dramatic eye catching design, the ladymatic has impressively met the challenge. Taj Krishna provides seamless meeting and conference services to ensure the highest levels of creativity, convenience and efficiency for every business need and event. We provide a 24-hour, technology-driven business centre located on the lobby level. Video conferencing facilities, secretarial services, translations, fax, and other electronic and communication equipment are available for our guests. Being away from home need not mean being away from your health and fitness routine. Our Fitness Centre facilities include cardio equipment and free weights. Steam and Jacuzzi are also available in the health club. The health club hours are 6:00 a.m. to 9:00 p.m. and the fitness centre is open 24 hours. An outdoor pool is available from 6:00 a.m. to 10:00 p.m. The Taj Club is the ultimate expression of luxury and exclusivity. Designed exclusively for today's business traveler, the Taj Club offers a unique world of privileges and services, both essential and extraordinary. Taj Krishna , One of the Best 5 Star Hotels in Hyderabad offers the Club lounge services to Business travelers and it also comes bundled with the Taj Club Room. Taj Club is located on floors five through eight, and offers business or leisure travelers access packing and unpacking services, coffee service with wake up request, international periodicals and newspapers, express departure services, business center services including faxing, printing, local calls and shoe shine services. Use of the meeting room at the Business Centre for two hours - subject to availability. Your choice of newspapers and magazines. 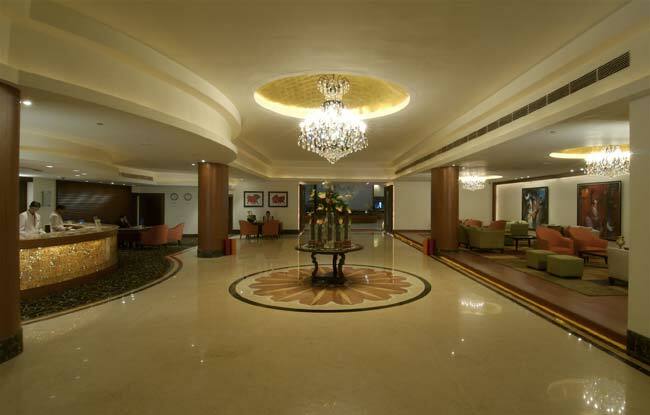 Enjoy the facilities along with Business on your next travel to Hyderabad City.